I’ve probably come up and down in my buildng’s elevator several hundred times but never noticed this till today. I was riding the elevator up today with an older woman who offered to press my floor – but couldn’t find it. We started talking about how it might help to have a standard arrangement for elevator keys and then started talking about the height of the keys etc. I always figured that the keys were placed so low to allow people in wheelchair s to press them. 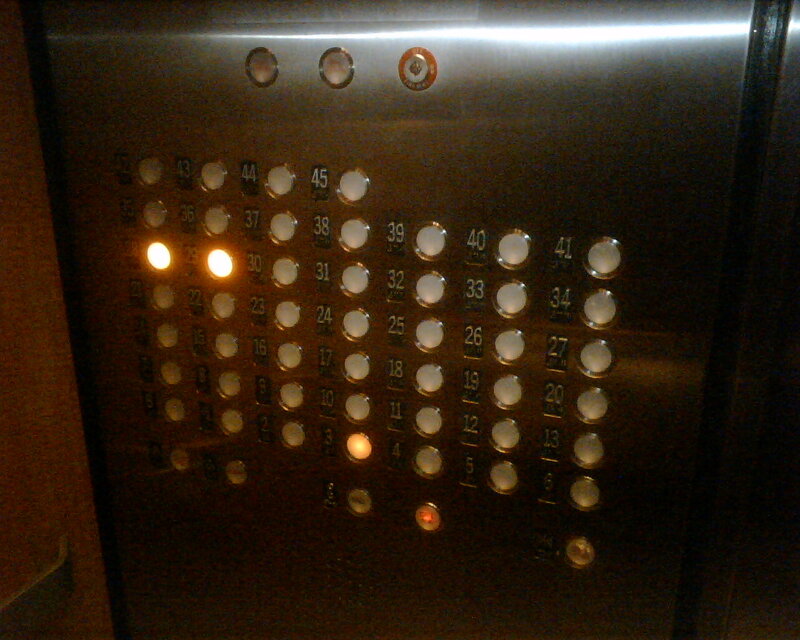 However, the woman told me that she had been in an elevator with a child, who because of the design of the elevator keys, could never reach the higher floors. This story got me thinking about designing for children – It’s something that I have never thought about consciously and I’m guessing that not a lot of us do. I would venture to guess that we think about designing for handicapped people before we think about designing for children. The story was certainly timed well – I’m in day 2 of the Physical Human Factors class, taught by the very famous Bill Verplank where he teaches you to be more aware of physical limitations and preferences. We spent the bulk of the class today, trying to understand the concept of Webers law and lowest perceptible differences. My understanding of the law states that you need a greater amounts to preceive differences as you go up the scale. In simple terms, when you have no coins in your hand and you place a quarter, it’s easy to tell the difference in weight. However, when you have 40 coins in your hand and you add another one, it’s harder to perceive the difference. Weber’s law gives you a method to calculate how much weight in coins you’d need to add before you could notice the difference. This entry was posted in design, products, user centered and tagged Physical Human Factors Design Children. Bookmark the permalink.